Home › Personal Finance › Smart Spending: Do You Understand Your “Authentic Why”? Smart Spending: Do You Understand Your “Authentic Why”? In the world of personal finance blogging, we talk a lot about saving money, and how to stop spending. However, creating the lifestyle you want isn’t always about the way you stop spending money. Sometimes it’s more about smart spending, and spending according to your priorities. 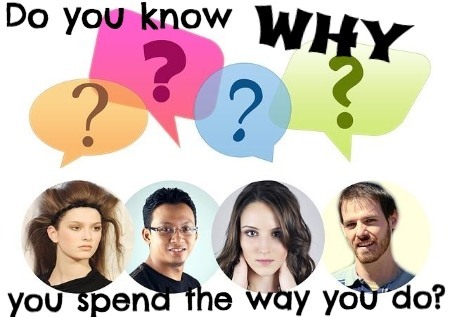 Why Do You Spend Money? One of the most important things you can do if you want to improve your finances and change your life is to figure out the “why” behind what you’re doing. Our recent guest on the show, Andrea Travillian, talked about finding your “authentic why” when putting together a life plan and a financial plan. This really resonates with me, because I’ve long been an advocate of understanding yourself and your motivations so that you can understand who you are and what works for you. Before you try to do anything with money, you need to take a step back and think about what Andrea calls your “authentic why.” Figure out why you are spending money, or saving money, or what you hope to accomplish. One of the reasons that people have such a hard time sticking to a budget is due to the fact that they haven’t figured out why they are doing what they do. Finding your authentic why means that you need to be honest with yourself. Are you spending money because you hope to impress someone? Do you save some money for retirement because you “should”? This type of reasoning can encourage you to rethink the way you do things. The key to smart spending is spending according to your values, and spending in a way that helps you reach your goals. If you view money as an end itself, or if you think you just need more money, without really thinking about why you need it, or what you hope to accomplish with it, you are unlikely to set aside enough for retirement, or use smart spending to buy what makes sense for your situation. I don’t really plan a retirement per se. I expect that I will keep writing, and doing other freelance work, and my husband enjoys teaching, so he is unlikely to give it up just because he reaches some arbitrary age. I expect “retirement” to look a lot like my life now, except my son will be an adult, and we might be able to travel more. But I get to go on three trips a year, plus a few other mini-trips and getaways throughout the year. I really can’t complain about my life. 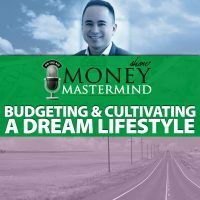 Smart spending is about taking a look at what you want your life to look like, developing a money mindset that sees money as a resource, and then using that money to create the life you want. In my case, this took some doing. 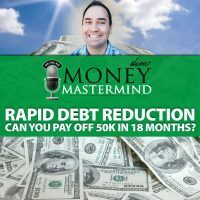 I had to pay down debt, stop spending on things I didn’t care about, and figure out how to make enough money to meet my goals. It wasn’t magic. It was more about finding my own financial philosophy, and then making a plan to allow it to happen. I dug down to my authentic why, figured out what makes me tick, and then decided that, moving forward, my money would be used to fund the things that I like best, and that make me tick. Before I understood the “why” behind what I was doing, I spent money randomly, without purpose, and it was disappointing to see how everything fell out. I didn’t enjoy my life, no matter how much I spent — and I always spent too much. Once I took a step back and decided what I wanted from life, and why I wanted it, I began to look at how my money could make that happen. Now I’m much more at peace with my life, and much happier in the way I do things. It takes some doing to get to this point, especially if you haven’t been spending according to your priorities, but in the end, it’s worth the trouble. What motivates your life? What is your authentic why?